Today’s consumers and buyers are conscious, informed and connected. They search for wines using smartphones, tablets, desktops and they share experiences with others. Access to information and ability to share that in an instant has become a basic customer need. The average social media user has 5 active accounts today. Each one of the 1.6bn Facebook users spends 50 minutes every day scrolling through Facebook updates, liking Instagram posts, or chatting on Messenger. To engage customers, a website is a must but far from enough. To get noticed, you should be present on all key digital channels that your prospects use. Their user experience with your brand should be consistent, seamless and device-independent. Is your winery present on the key social networks? Do you have a consistent brand appearance on all of them? Would you like support to get started with social media? Getting the basics done right does not have to be complex or expensive. Our social footprint services get your winery up and running on key digital channels in no time. Whether it is Facebook, Twitter, Instagram or LinkedIn, it makes no difference. We set up your winery’s accounts, connect them to your website and customize your social media appearance to match your brand. Setting up your company account on Facebook, Twitter, Instagram or LinkedIn. Channel selection depends on your marketing strategy. Customizing your social account to ensure appearance matches visuals of your brand. Social is about engagement and engagement is about content. Beginners in the digital marketing space struggle to identify what works best with their target audience. Our team has handful experience in the wine content marketing space – use our skills to collect ideas what content would fit best your social media communications. Providing handful tips about how to start growing your fan base and convert them to sales. Request a quote to see how we can help build your social footprint! Wine is a social product, yet 60% of German wineries miss out on social media presence*. Build an appearance on digital collaboration channels that your target customers use. 50 percent of a wine’s success is the personality factor of the brand, building an emotional tie with the customer. Make sure your visual appearance matches your brand on all digital channels equally. There are more than 200.000 wine labels in the world wine market. Drive interest for your wines and your brand with social media as a strong but economical marketing tool with an unparalleled reach. Setting up your social media accounts is easy. Setting them up right needs a specialist. Use our digital marketing and wine industry expertise to ensure no details will be missed. Social media is about networking, sharing and interaction. Engage wine enthusiasts and business partners into discussions around your brand. In social media engagement happens through interesting content. It is not only about promoting offers, reporting about new vintages or events at your winery. Interesting content is a broad term. It can be anything that social media users find entertaining, educating or relevant. Many topics go well with wine: events, travel, experiences – the list is endless. All this content you have to create yourself or find it elsewhere to curate and share further. For this the required time-investment can be daunting. US wineries spend 5.3 hours on social media weekly – twice as much as their German counterparts. How can you get more out of your efforts? The answer is content management. Do you know what type of content to drives engagement for your winery? Do you create, curate and share such content on social media platforms? Would you like to automate content collection and sharing? 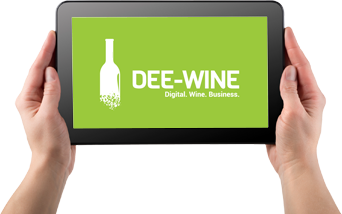 Our content management framework provides your winery with an easy-to-use digital toolkit. Integrated components make content curation and sharing simple. Whether it is for a dedicated user or for your entire team, we can help set it up. We build your core digital toolkit so that you can share relevant, engaging content. Getting components of your content management framework up and running. Built on award winning software of Hootsuite and Feedly. Connecting your social profiles to the framework (Facebook, Twitter, Instagram, LinkedIn). Helping your team develop the basic digital skills you need for content management. Our content feed delivers a pre-configured collection of wine related sources for interesting content. All information gets syndicated and delivered to you automatically – you only have to decide what you wish to share on which channel and when. Alternatively, you can also switch on scheduling to run your content distribution on autopilot. Instantiating your content collection platform with our pre-configured set of content sources. Available in German / English. Getting your very own, custom content generated by us. We write and illustrate your posts on your preferred social media channels. Would you like to simplify your content management? Request a quote to see how we save you time and increase customer engagement! Social media can be time consuming. Avoid excess time spent on identifying relevant content. Use our comprehensive list of content sources to schedule your posts to multiple channels at optimal times and in bulk. Time is money and your focus should be on what you can do best: wine-making. Save time by running your content distribution across multiple social media channels on autopilot. Social media is not a one-man job. Our toolkit helps multiple members of your winery to engage collaboratively in curating and sharing relevant content. Content and interaction with online followers creates engagement. Use our pre-configured toolkit to get new fans, spark conversations and keep current followers engaged. Wine is a social product: events associated with them are a great way to interact with customers and prospects. Whether a tasting event at your winery or a masterclass at a trade show – they all need promotion. There is hardly anything more costly than events without visitors. Securing proper attendance is vital for your event’s success. The good news is that social media as promotion channel is a perfect match to wine as a social product. Select your target audience, take the right digital marketing toolkit and get your campaign organized. Add the right facilitators on top and you have done everything to make your event a success. Do you know how to promote well your wine event via digital channels? Do you struggle to pick the right facilitator to attract visitors? 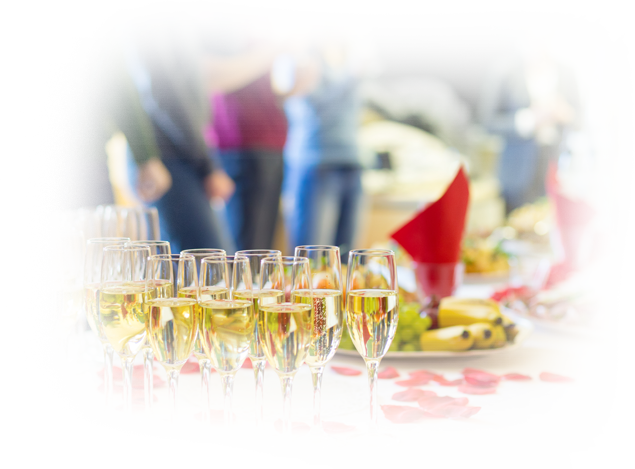 Would you like to boost your event success? 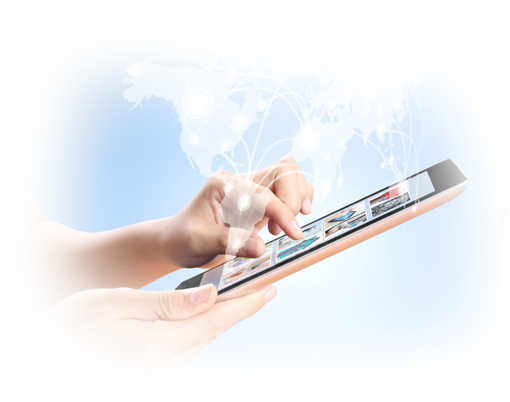 The Digital Event Flyer offers an elegant, eye-catching, mobile optimized presentation of your event. Smart content and attractive, responsive design adapted to your visuals go hand-in-hand here. The flyer can be directly shared to e-mail addresses you define, as well as be posted on social media. Search engine friendly structure with super-simple sharing for viewers to spread the news via their favorite social media platform or e-mail. Illustrations adapted to your logo and colors – high quality custom imagery that supports a professional appearance. References to your winery website, social media accounts and the registration site of your planned event. The Event Registration Tool is a simple yet attractive way to register attendees to your public tastings. Visitors can book their event seats online from any device with a click of a button. You decide about your event timing and capacity, define visitor information you wish to collect – we take care of the rest. Search engine friendly structure with your logo and colors – additional information about your events and your winery. Event and available seats displayed online, event registration with a few clicks only. Confirmation of successful registration via e-mail. Links to iCal, Google, Outlook and Yahoo calendars. Attendee management app (iOS / Android) to electronically check-in visitors when they show up. Check-in using barcode, name or e-mail address. Experience, sound preparation and communication skills make the difference. The competence of our renowned experts complemented with our wine event experience guarantee that your tasting will run smoothly. Our facilitators follow a thorough preparation process which includes information collection and event pre-tasting. Master of Wines, WSET experts, sommeliers with professional tasting and presentation skills. Clear preparation plan with documented milestones for information collection, validation, formatting and pre-tasting. All event wines pre-tasted offsite prior to their live presentation. Digital marketing is a cost-effective way of promotion. The impact of an online campaign depends on your existing social footprint, website content, brand awareness, targeted channels and your campaign budget. We develop your custom plan with the best possible mix of digital marketing tools within your targeted investment pool. Facebook, Twitter, LinkedIn ad campaign customized to your budget and target audience. Informing your existing partners via an attractively built newsletter. Would you like to boost your events? Request a quote to get concrete tips about how we can supercharge your tastings! Organizing public tastings or attending wine industry fairs are expensive. Get more out of your investment by boosting your communications about the event you are organizing. Attracting the right audience attending your event is key to your campaign success. Work with our selected Master of Wine and sommelier experts to deliver an authentic, professional message. Knowing who is visiting your event helps you focus on the important visitors. Use our connected applications to collect vital details about attendees for future follow-up. 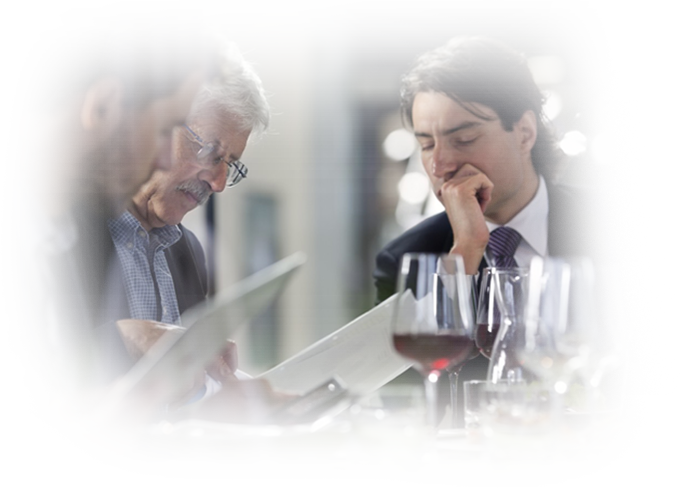 With hundreds of visitors at your event it is difficult to recall conversations. Utilize our digital toolkit to register visitor interest, feedback and opinion for future use. Engaging with your visitors is only effective if you follow-up with them post-event. Learn to use data collected via combination of digital tools and reach-out to attendees in a personalized fashion.